One year after Stephen Harper finally won a majority government, his party is down in the polls and plagued by allegations of scandal, mismanagement and misrepresentation. Did the prime minister hit his peak in May 2011? There is some indication that he did. The latest survey from Harris-Decima puts his Conservatives at only 30 per cent support, down ten points from the last election and three points behind Thomas Mulcair's New Democrats. SLIDESHOW: HAVE THE TORIES KEPT THEIR PROMISES? In fact, the Conservatives have tied or trailed the NDP in half the polls conducted since Mulcair's leadership win. In the half that gave the Tories the lead, the margins were small enough to be virtually insignificant. The Conservative victory in May 2011 marked the zenith for the Tories not only in achievement but also in support. The party took 40 per cent of the vote in that election, a level of support they've seen in only only four polls since, three of which were taken within two months of the election. That's out of approximately 50 polls released in the last 12 months. The results of the last six provincial elections also point to a lacklustre Conservative brand. Though Saskatchewan was the one hold out, right-of-centre parties took a step backward everywhere else. The New Democrats were re-elected in Manitoba and the Liberals in Prince Edward Island. The PCs under Tim Hudak lost the Ontario election after leading the unpopular Dalton McGuinty by double-digits, while in Newfoundland and Labrador they took a smaller share of the vote than in previous elections. Alberta's rejection of Wildrose's more right-wing platform also represents a setback for the federal Conservatives. It was an open secret that the Tories in Ottawa were sympathetic to Danielle Smith's brand of conservatism, but Albertans opted for the more centrist Alison Redford - the kind of politician who hails from the old Progressive Conservative wing of the party rather than the Reform faction of Harper's past. A lack of enthusiasm for the Conservatives registered in a new Nanos surveythat found 31 per cent of Canadians feel the NDP best represents "the views of voters who elected them." Only 21 per cent said the same about the Tories. But the Conservatives are not quite dead yet - far from it. That same survey found the Conservatives scoring better than the NDP on "making decisions in the long term interests of Canada" and "managing policy priorities in a changing situation." The party also raised $5.1 million in donations in the first quarter of 2012, more than the total raised by the Liberals ($2.4 million) and the NDP ($2 million) combined. The Conservatives are still a formidable political machine with plenty of time to turn things around. But with each hit, the cumulative damage, often self-inflicted, takes its toll. 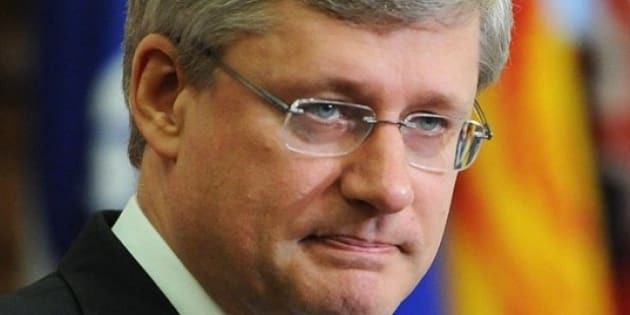 Harper could well pull out another victory come 2015, but he may look back on the days of May 2011 as his party's high watermark. HAVE THE TORIES KEPT THEIR PROMISES?